basic knowledge of Windows operating system and the Explorer. basic understanding of windows directory organisation and how to navigate between different levels of directories. how to create a diretory at any level of the hierarchy. how to use a programming text editor. Notepad++ is a good example of code editor. Notepad++ is a free software available at: http://notepad-plus.sourceforge.net. how to create a file (a *.txt text file for example) with a text editor and how to save it in a specified directory (usually the same as the one of the 3D project that you are about to create). clearly distinguish an absolute path from a relative path to access a file. Those prerequisite are necessary because building a 3D scene with Demoniak3D requires creating one or several files called source codes. These codes may be of different types (*.xml, *.lua, *.glsl for the most common). be sure that your 3D graphic controller has the appropriate drivers correctly installed. A quick test can be performed with the GPU Caps Viewer tool. 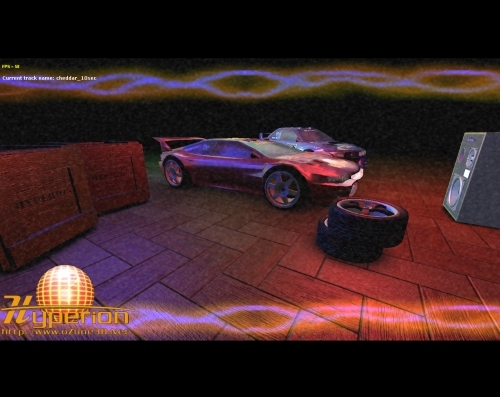 GPU Caps Viewer is based upon the same 3D engine as Demoniak3D, which means that if you are unable to run the GPU Caps Viewer, there is a weak probability for Demoniak3D to work properly. In most cases, this troubleshooting is due to a driver problem (bad installation or inappropriate driver version). Demoniak3D will work perfectly with all the nVidia chipset based controllers (starting from the Geforce2 to the latest GeForce 8/9) as well as with ATI based chipset controllers (from the Radeon 9500 to the latest Radeon 3k). Just visit the following page for more informations about graphic drivers: Graphics Drivers Page. visit the following page: First 3D scene and follow the guide step by step. This tutorial will help you experimenting in a concrete manner the code of a simple 3D scene. then, visit the Codes Samples page. You will find about one hundred of 3D scenes classified in different level of complexity. The easiest code samples are located in Codes Samples Basic. Download the code samples and load each demo in Demoniak3D (whether using a simple drag'n'drop of the xml file or through the File / Load XML HyperGraph menu). Once you have observed the rendering result of a demo, open its source code in the text editor and analyse it. Feel free to modify the values of the parameters (modify as you wish but observe the rules regarding the parameter type as specified in the "Reference guide"). Then save your file and reload the scene (File / Reload Last HyperGraph) to observe the result! It is recommended to refer to the reference guide in order to understand the meaning and the purpose of the parameters that you modify. read the philosophy and the way of working of Demoniak3D. All these informations are located here: Introduction to Demoniak3D. Take a while to make a quick reading of basic programming with Demoniak3D. Learning through experimentation is the best way to tackle a software such as Demoniak3D. Do not hesitate modifying the provided source code to get the key point of how works Demoniak3D. You will quickly feel comfortable and then, the 3D programming world will unroll the red carpet! Have a nice trip in the demonic world of 3D programming! Page generated in 0.0030860900878906 seconds.